Sunglasses play an important role in our everyday lives helping protect our eyes from harmful UV rays and allowing us to see better in the sun. Simple everyday tasks require a good pair of sunglasses to complete, such as driving on a sunny day or playing a game of baseball. You get the eye protection from direct sunlight allowing you to complete your tasks better. Most people wouldn’t want to drive on a sunny day without a good pair of sunglasses because the sunlight is a distraction making driving more difficult and even unsafe. For baseball players, sunglasses are one of the most important pieces of equipment for them to play the game. Pop-ups and fly balls require looking right up at the sun which is bad for your eyes and almost impossible to do if you plan on catching the ball. A great pair of sunglasses will offer the perfect clarity and shading for supreme performance. Oakley is well-known for their high-end sunglasses, originally created for world-class athletes. The radar path line improved over the years into one of the elite pairs of sunglasses on the market. Oakley’s patented O matter material allows the frame to have superior strength while comfortable enough to wear all day long. Comfort goes farther with interchangeable lenses and nosepieces giving you the perfect fit. Integrated ports along the frame allow air to flow through to prevent sweat build-up. Perfect optical alignment is achieved with a three-point fit giving you a clearer view. Oakley went all out with the radar path sunglass line meeting military specifications for high-impact shatter resistant plutonite lenses. Patented lens design for high definition optics that are distortion free. 100% of harmful UV A/B/C rays and blue light 400nm is filtered out. Iridium coated lenses increase glare-reduction and tuned light transmission for glare free vision on the brightest days. ANSI Z87.1 optical precision and performance certified. Lens width 70mm, height 40mm. Bridge 15mm, Arms 130mm. Includes a convenient carrying case for storage and safe keeping. Under Armour has really made an impact on the professional sports scene, some call them a complete game changer. 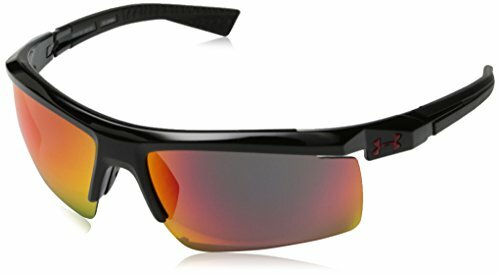 These core wrap sunglasses are perfect for hours of comfortable wearing with their lightweight design and three point grip. ArmourFusion frames are a combination of the strongest and lightest metals on the planet, grilamid and titanium. These are designed to maximize field of vision through rimless frames for rigorous outdoor activities and training. Under Armour had durability in mind when they created the core wrap sunglasses, ArmourSight lenses which are 10 times stronger than polycarbonate and have 20% less distortion. Lenses are coated to protect against scratches and smudges. Adjustable nosepiece and no-slip grip give you maximum comfort, while staying put during intense times. 100% UVA/UVB/UBC protection with coated lenses. Arm length is 130 mm, bridge is 20mm. Prescription lens ready. Case included for storage to protect them while they aren’t protecting you. The durability and comfort of Under Armour’s patented frame while being stylish and trendy. These Igniter sunglasses use the ArmourSight polymer lens that is stronger than polycarbonate. A special coating will keep scratches and smudges away while keeping the vision field crisp and clear. Patented ArmourFusion frames use a combination of titanium and grilamid to form a lightweight frame that is high performance and durable. The multiflection lens coating repels water and prevents fogging and smudges. Built for athletes the 3 point grip and adjustable nosepiece provide maximum performance and comfort for long-term wearing. 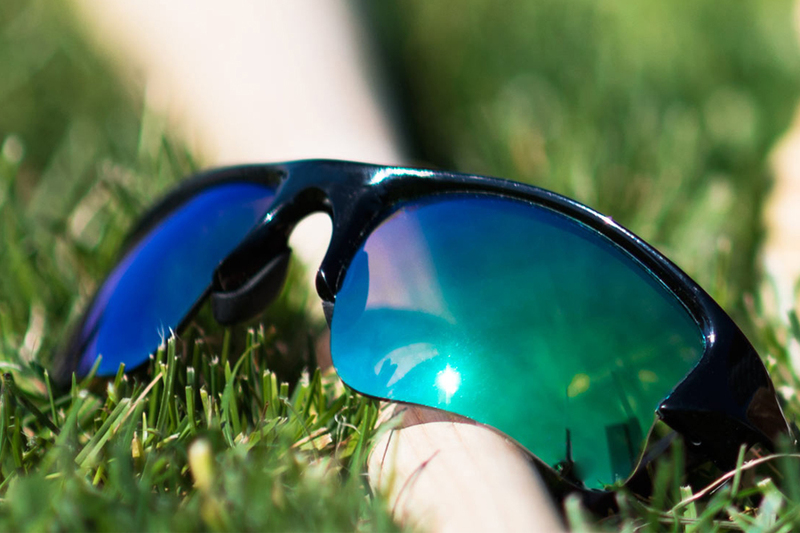 Designed to excel in every condition, the lenses are coated for 100% UV ray protection. Included carrying case for protecting your eyewear. Arm length is 135mm, bridge is 20mm. Lens width 60mm, height 37mm.